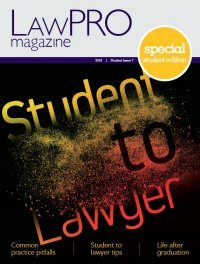 While Ontario lawyers will appreciate that LAWPRO defends them on legal malpractice claims, they may not appreciate the breadth of legal issues that come up in those claims. 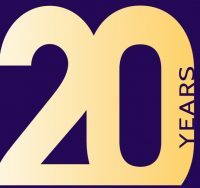 This article highlights leading or significant cases that LAWPRO litigated over the past 20 years, some of which dealt with legal issues and principles that are relevant far beyond the professional liability issues that arose in the individual claim. Unfortunately, we may not have achieved the desired outcome in every file, but on balance, we have done our best to “ring fence” the standard of care for lawyers and develop useful legal “tools” for resolving solicitor negligence claims. For instance, LAWPRO went to the Supreme Court of Canada in Friedmann Equity Developments Inc. v. Final Note Ltd. to help uphold the ancient “sealed contract” rule – that is, where a contract is executed under seal, an undisclosed principal (investor) can neither sue nor be sued upon it. Had that rule been overturned, many investors in corporations which had executed debt instruments under seal might have become personally liable for the corporations’ debts, and would have blamed their solicitors for failing to protect them from that risk. The Supreme Court of Canada’s judgment in Beals v. Saldanha arose from a solicitor’s mistaken advice that his clients need not defend an action in Florida. The Court held that foreign judgments will be enforceable in Canada provided the foreign court had a “substantial connection” with the subject matter of the lawsuit unless the judgment was obtained by fraud, or there was a failure of natural justice, or enforcing the judgment would be contrary to domestic policy. Wong v. 407527 Ontario Ltd. et al is invaluable in stymying attempts by unhappy clients to shift the consequences of their own bad bargains to their solicitors. The plaintiffs alleged that the solicitor should have attempted to negotiate for additional security from the vendor, even though the agreement was fully executed before he was retained. The Court of Appeal said that attempting to renegotiate an executed contract was a “counsel of perfection.” The vendor would have refused to give additional security in any event. In Hall v. Frederick the Court of Appeal held that the solicitor was correct in declining to prepare a will. Simply because the testator was able to give several instructions concerning his assets during lucid moments as he drifted in and out of consciousness, it did not follow that he had testamentary capacity. Litigation counsel no longer enjoy the benefit of the “egregious error” standard of care. Rather, as the Court of Appeal held in Folland v. Reardon they must adhere to the standard of a reasonably competent lawyer. As long as that standard is met, counsel’s duty to the client is discharged, even if the outcome of the litigation is disastrous. The Court of Appeal found in Harris v. Levine that the plaintiff’s suit against his former criminal defence counsel was an abuse of process because in order to succeed, the plaintiff would have had to prove that but for the solicitor’s negligence, he would not have been convicted. This would inevitably result in re-litigation of the criminal charges, and would potentially impeach the integrity of the adjudicative process. In Kingsland v. Merritt, the plaintiffs invested money with Lopez, the defendant solicitor’s client. Lopez had the plaintiffs prepare a bank draft, payable to the solicitor in trust. The solicitor received the money, and disbursed it as Lopez instructed. Lopez never repaid it. Belobaba J. found that the solicitor owed the plaintiffs no duty of care. The plaintiffs were not the solicitor’s clients, had no contact whatsoever with him, and gave him no instructions about the disposition of the money. The Court of Appeal held in Galganov v. Russell (Township) that Rule 57.07 is not intended to allow the frustration of the opposing party’s counsel to be taken out against counsel personally. Special caution is warranted in awarding costs under Rule 57.07 where the client declines to waive solicitor client privilege. The Court of Appeal squelched an attempt to hold plaintiffs’ counsel liable for a defendant’s costs on the basis of breach of warranty of authority. In Attis v. Attorney General, Cullity, J. held that where class plaintiffs’ counsel supposedly failed to explain their potential costs exposure to them, the solicitor acted without authority in commencing the action. The Court of Appeal disagreed. If the plaintiffs’ solicitor failed to properly advise them about their costs exposure, their remedy was a negligence action. In Gentra Canada Investments v. Lipson, the Ontario Court of Appeal held that in the appropriate circumstances, a cause of action against a solicitor for negligence may be assigned from the client to a third party. A defamation action against a law firm was dismissed by the Divisional Court in 1522491 Ontario v. Stewart Esten. the alleged defamatory communications were contained in a letter to a town planner, which had a draft statement of claim attached to it. The statement of claim was issued the following day. The communications were made on an occasion of absolute privilege. The alleged impropriety of the solicitor’s motives was irrelevant. Motions to set aside administrative dismissal by registrars have been staple items on Courts’ motions lists in recent years. The Court of Appeal’s judgment, Aguas v. Rivard Estate reiterated the four-part test set out in Reid v. Dow Corning Corp.and Scaini v. Prochnicki for setting aside a Registrar’s administrative dismissal of an action for delay under the former Rule 48.14. The Court of Appeal set aside the dismissal where the plaintiff continued to move the action along, participated in examinations for discovery before and after the action was dismissed, and actions taken by the defendants’ counsel did not support actual prejudice or reliance on finality. The test for resisting motions to dismiss actions for delay at a “show cause” status hearing and for restoring actions to the trial list is tougher than the test for setting aside registrars’ administrative dismissals. In Faris v. Eflimovski, the Court of Appeal affirmed its earlier judgment in 1196158 Ontario Inc. v. 6274013 Canada Limited16 where it held that the plaintiff bears a stringent burden at a status hearing pursuant to the former Rule 48.14(13). Even where the plaintiff can provide a satisfactory explanation for the delay, the action will be dismissed if allowing the action to continue would prejudice the defendant. Conversely, where the plaintiff is unable to provide a satisfactory explanation for the delay, it is open to the court to dismiss the action, even absent proof of actual prejudice to the defendant. The test is conjunctive, not disjunctive. The test for restoring an action to the trial list is the same as for “showing cause” at a status hearing. The Court of Appeal refused to restore an action where there was no acceptable explanation for the seven-year delay in moving to restore the action to the trial list, and the defendant was prejudiced by the delay: Nissar v. Toronto Transit Commission. Rectification must sometimes be sought to cure solicitors’ errors. The Court of Appeal affirmed that a conveyance may be set aside, and the parcel registered rectified, where a transfer was made in error and the transferee was not a bona fide purchaser for value: 719083 Ontario Limited v. 2174112 Ontario Ltd. An Ontario court ordered the rectification of the testatrix’s secondary will to eliminate duplicate bequests and to insert a residue clause. The solicitor’s error created a document that did not reflect her wishes: McLaughlin v. McLaughlin. Claims involving limitations issues are well represented in LAWPRO’s portfolio. In Landrie v. Congregation of the Most Holy Redeemer it was held that where a plaintiff was heavily sedated following a severe ankle fracture, the plaintiff ’s incapacity extended the limitation period. Matheson, J. used “special circumstances” to allow FLA claimants to add the true owner of the at fault motor vehicle, more than two years after the death of the accident victim. Plaintiffs injured in the accident were given the same relief, based on discoverability. The Court of Appeal affirmed this order: Patterson v. Ontario (Transportation). The ten-year limitation period found in s. 4 of the Real Property Limitations Act governs a claim for a remedial constructive trust over real property: McConnell v. Huxtable. In Schmitz v. Lombard, the Court of Appeal found that the limitation period for the plaintiff’s claim on his underinsured motorist coverage was governed by the Limitations Act, 2002, not the 12 month limitation period set out in para 17 of the OPCF 44R change form. The two year limitation period runs from the day after the insured requested payment from the OPCF 44R insurer. Changes in the law and legal professional liability issues keep our work defending Ontario lawyers interesting and challenging. The cases highlighted above illustrate the diversity of cases litigated by LAWPRO in the interests of the profession. Debra Rolph is Director of Research at LAWPRO.